Great, and not so great, and great! My Rose Tyler’s fingerless gloves are almost done! The purling and cabling is a little hard in my wrist, so I can’t push myself too much. But I only have about ten rows on the hands, then wee fingers! 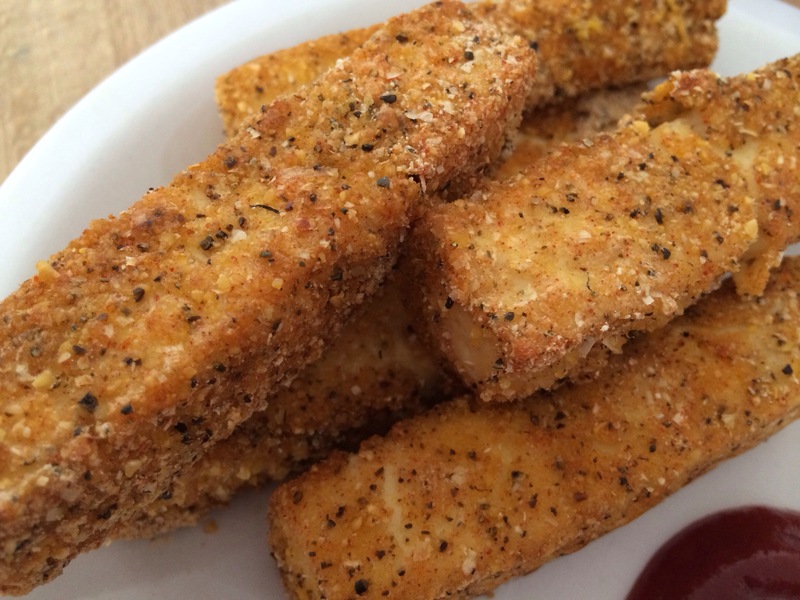 And on an unrelated note, I’m pleased to tell you that these vegan “Fish fingers” I tried making today were delicious! Thanks to the Vegan Lunch Box! Nearly done! Just a few more minutes! Wow…that’s some impressive glove pattern! Nice job! Nice gloves. 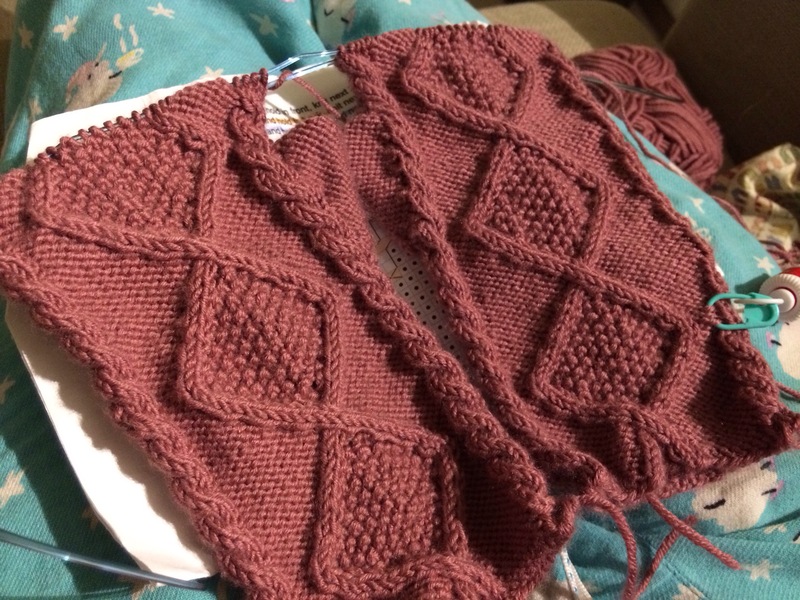 It’s trippy how some designer gauges are different from the yarn’s. It can be hard for me to get the gauge. Then I have to use another weight yarn closer to the designer’s gauge. Yes! 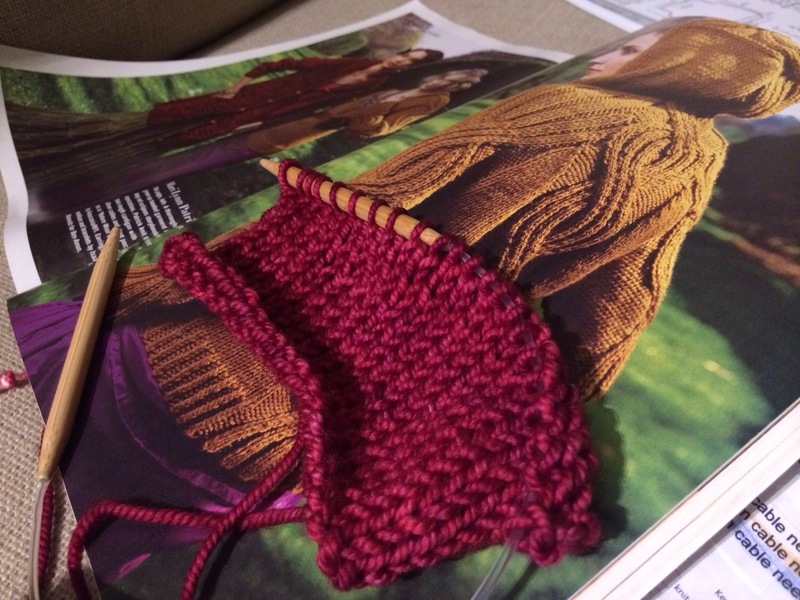 I’m convinced that Tosh Bulky is more of an Aran weight than bulky. On size 10 1/2, the fabric is really see-through!